In the last session, we introduce you the (YYMMDD10.) format. 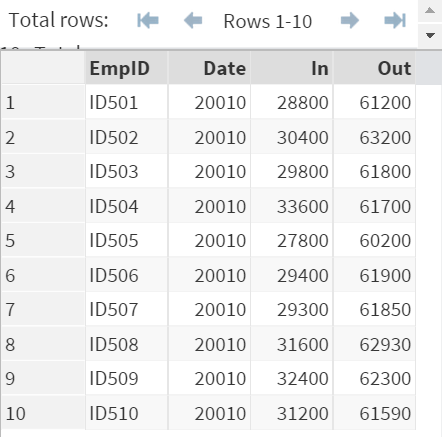 The DFMT data set above contains Date1, Date2, Date3 and Date4. 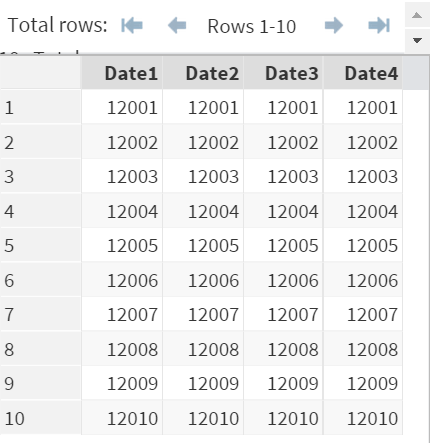 Each date contains an identical set of data. 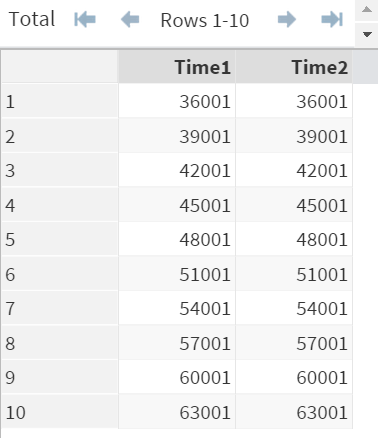 In the TFMT data set, the two time variables contain a set of identical time values. Now, let's apply the two time formats to Time1 and Time2. 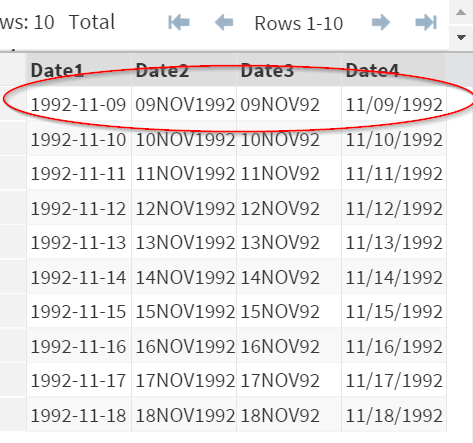 The date and time variables are not formatted properly. 1. 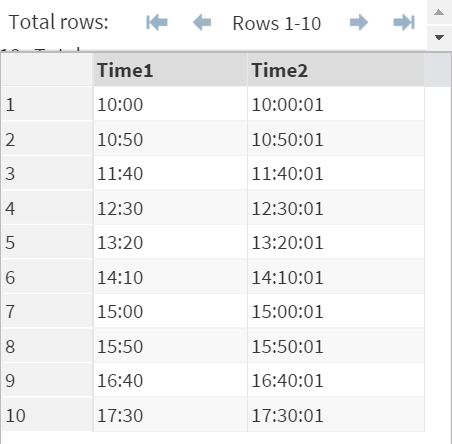 Format the Date and Time variables with the proper formats. 2. An employee is considered late if they arrive after 9 a.m. Find out which employee is late.